A lovely Family christmas decoration. 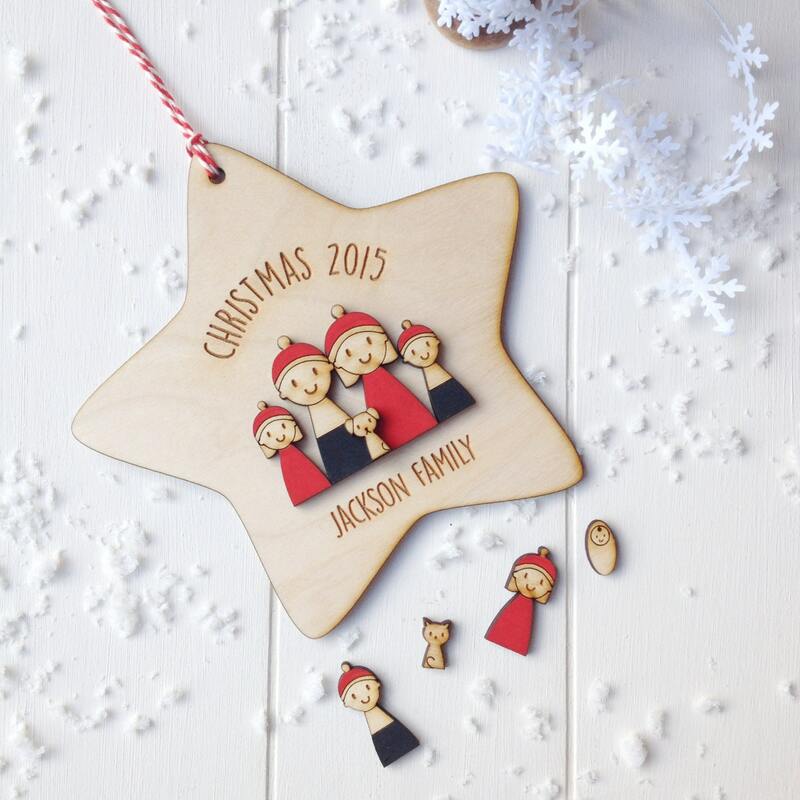 The star features a cute hand painted wooden family with delicate engraved faces and dressed in sweet red bobble hats. 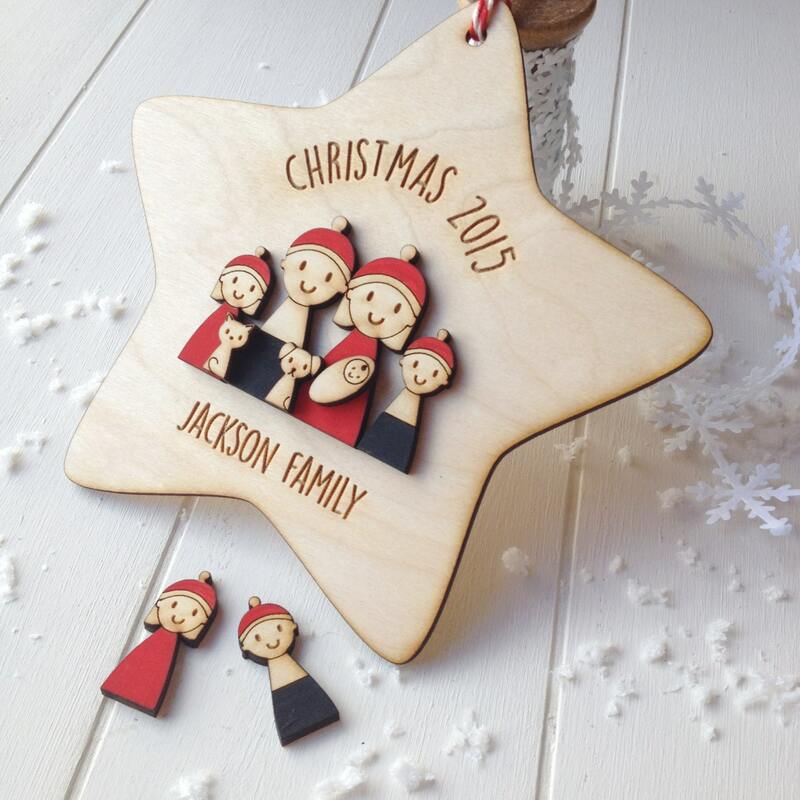 As standard the decoration comes with a daddy and mummy figures and you can choose to add up to 5 children, and up to 4 cats and dogs. 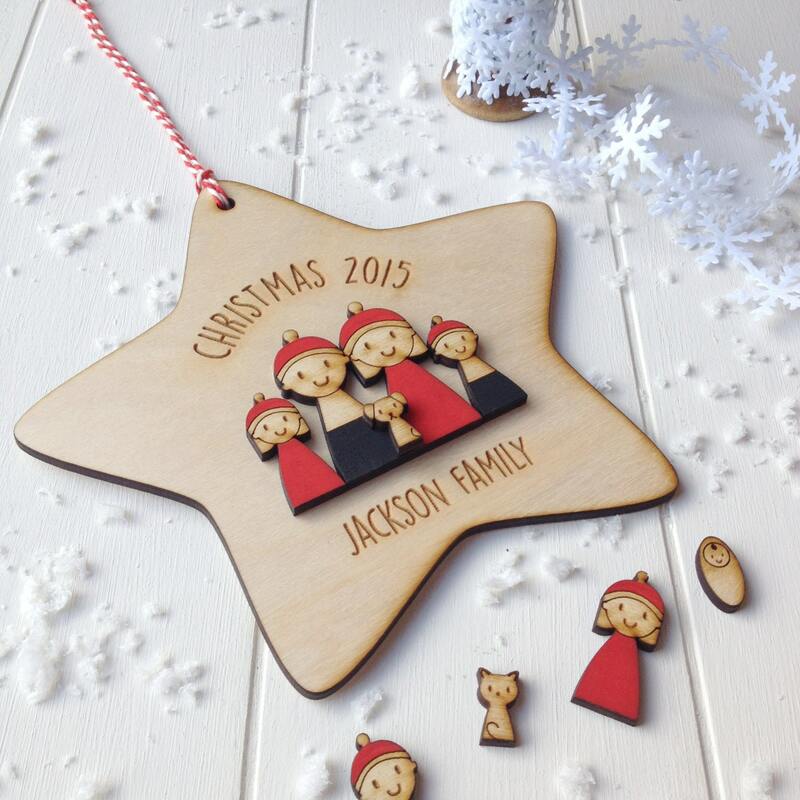 Each star is made from beautiful natural wood and finished with red and white twine. 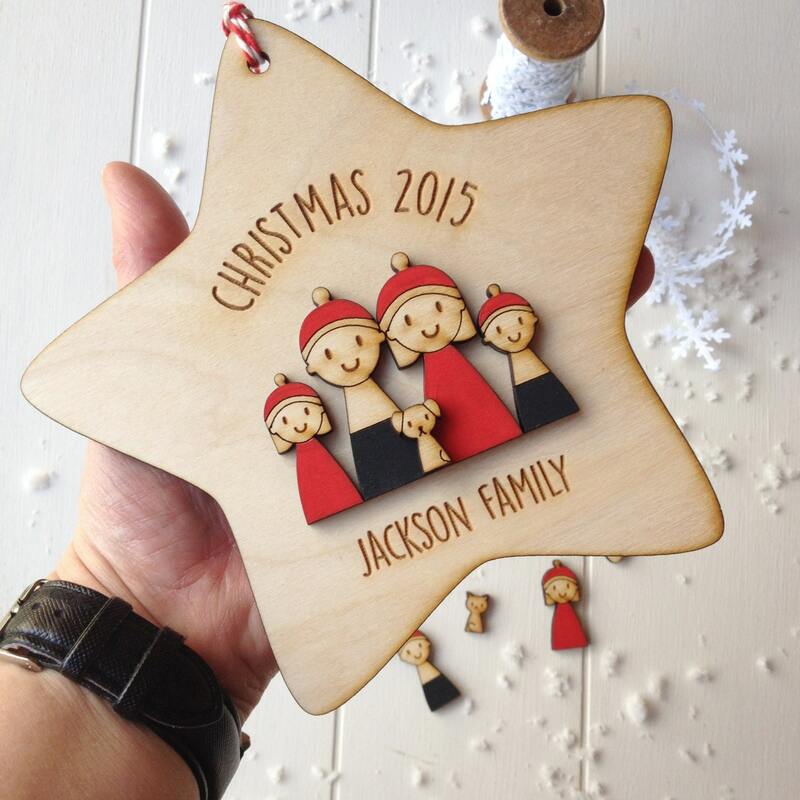 It is personalised with the family surname, the year and your choice of figures. Gorgeous, quick turnaround time even with international shipping. Great gift for family! Really good quality and fast turnaround. I got it in a week and I'm in Australia! Another superb item received, and in a very timely manner. 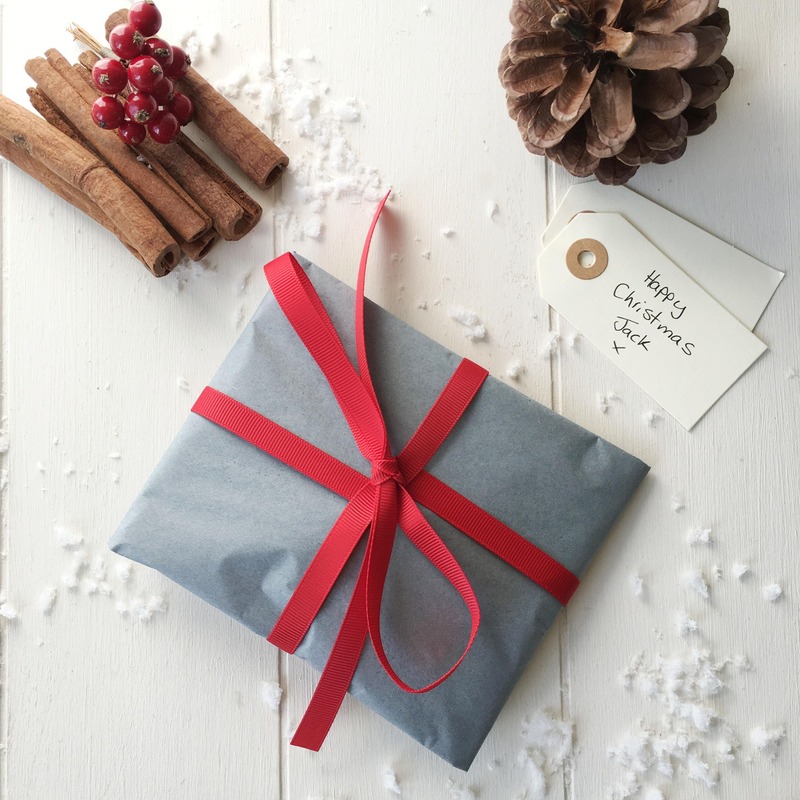 The gift was well received by the recipient and definitely value for money. Would not hesitate to recommend to anyone. Love love love this! Bespoke for a friend who has moved overseas. Have yet to get her reaction but I'm sure she will absolutely adore it :) Thank you!